Startseite » Katalog » Theologische Literatur » Systematische Theologie, Ökumenik » Was heißt Natur? Nature and rationality – these two concepts, which traditionally have been used as concepts of demarcation, are moving today closer to each other in different ways. Various questions arise in this context: what role does nature play as material symbolization of givenness in the determination of the character and range of reason? What does it mean to talk of the »natural« in view of the unprecedented interpenetration of nature and technology? 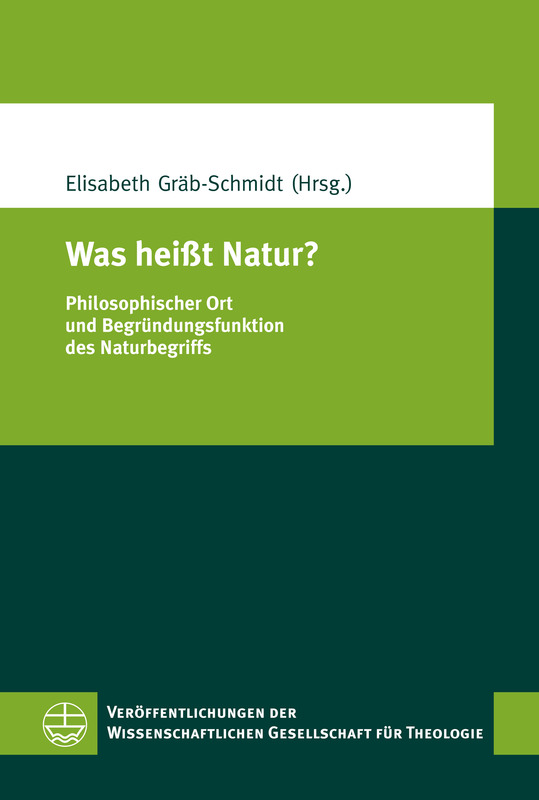 The contributions in this volume focus on the functional double determination of nature. On the one hand it is by itself the material basis of reason and therefore a determining factor of culture. On the other hand it is a demarcation of the »irreducable« which to exceed only produces aporias. Mit Beiträgen von Elisabeth Gräb-Schmidt, Friedrich Lohmann, Martin Wendte, Christian Schwarke, Anne Käfer, Martin Langanke, Cornelia Richter, Thomas Kirchhoff, Christoph Baumgartner, Thomas Wabel, Dirk-Martin Grube und Hans-Dieter Mutschler.